What is SEO and how do you use it? If there’s one thing people have learned about SEO so far, it is that there are no guarantees – only good practices. When thinking “What is SEO” change is the only constant, because of the regular refinement of search engines’ ways of ranking and viewing websites. The right mix of excellent copy writing, written code and link authority understanding are some of the practices which we’ve seen and experienced over time, giving us the opportunity to perfect the craft while keeping abreast with current changes and trends. To drive more traffic to a website, two basic approaches exist in terms of how the interaction with search engines work. The first one is organic SEO – this is the way search engines rank sites through naturally crawling the websites. This approach is virtually free. The second approach is Pay-Per-Click / Search Engine Marketing (PPC/SEM), which is more hands-on and direct. It gives more instant results through online advertising methods that lead visitors to the site after clicking on ads. Advertisers pay for every visitor based on clicks. SEO is an acronym that stands for search engine optimization. SEO employs techniques and strategies to make sure a website has everything in place to ensure the highest possible ranking in the search engines. It is important to note that good SEO does not include any form of spamming. Otherwise, a site can be penalized by the search engines, or even deleted from the database, if spamming techniques are employed. There are four basic steps to evaluate SEO strategies, which can be repeated whenever necessary, to optimize productivity and stability. Testing the Effectiveness of Your Users’ ExperienceThis is determined by various factors, such as the number of page views, your current traffic (and sources of traffic), users’ time on site, exit pages, conversion rate and bounce rate. Making Adjustments (Based on Effectiveness Measurements)Depending on your market, this step must be repeated for a number of times – rinse and repeat. Some sites require re-evaluation only one to two times per year, while others need testing as often as once a week. At this point, there will continually be several differences among search engines. Although Google has a big share of the search engine market – around 50% – there is no reason to disregard other strong contenders such as the Yahoo! and Bing partnership. Each engine works in a unique way, but in a nutshell, they all abide by similar guidelines. Excellent content, compliant code and smart keyword strategy will always be the basics which will give your site that push to give your website traffic results the boost that you want. We’ve established earlier how important the process of evaluating current SEO strategies is. SEO is confusing – and that’s pretty much the understatement of the year. It is one of Internet marketing’s least understood parts. Because of this, a lot of frustration often arises. It isn’t impossible to see numerous SEO efforts that result to displeased clients, only because they cannot understand it fully. Communication is key when it comes down to it. The Power of TangiblesCommonly, SEO strategies are measured with various keyword-related numbers and statistics. This creates the problem early on. Leading with what clients want and need to know can make a world of difference. Answer in a way that addresses questions like, “How many people visited my site?” or “How is my site’s traffic going?”Understandably, SEO strategists will show reports and analyses on traffic and user experience. The most affordable tool to do so is tracking phone numbers. At the same time, this gives very valuable information for evaluation. Recording the call details can give you an idea of what happens exactly each time a user makes a call. This is an essential indicator that must be given attention as part of a great marketing plan. Relevance of Keywords and Words, in GeneralA good SEO strategy relies on not just the optimized keywords and terms. It is given that there are a set of specific words which are optimized, but this does not mean that other words have zero relevance. This part of Internet marketing is a hugely misunderstood one. Every report you will see will keep track of keywords optimized on a given site, but not all relevant words can be tracked. Clients can get confused with this – this is why it is essential to make it absolutely clear to them. Focus on increasing the site traffic, and then each and every referenced keyword becomes relevant – not just the ones which are tracked and reported. Punctuality and ConsistencySEO strategies thrive on routine and regularity. At exactly the same day of every month, reports are generated. This method gives clients a clear picture that the strategy is paying off and on schedule, too. Many SEO companies have issues with this, which is detrimental – the mere idea of reporting is already such a complex process to explain and understand. One can only imagine the hazards that come with inconsistent and/or late deliveries – which can ultimately only lead to frustration in spite of the quality of the work. In summary, after determining what is SEO, the biggest key to an effective strategy for SEO for web pages is proper communication. This keeps the client’s attention and interest at all times. Evaluating from beginning to end (and in between, in regular intervals) keeps problems at bay – or at a fixable distance, giving you nothing less than a stable and productive SEO strategy. The steps and methods mentioned above can help make this possible. H1 tags are the King of HTML tags, when it comes to SEO. So, what is an “H” tag? It is a tag generally used for Headings. It comes in 6 flavors (H1-H6) where 1 is the King and 6 is not. In fact – it is rare if you ever find someone use anything other than H1,H2 or H3. Albeit one of the shortest tags in HTML, it is very important. H tags are used to designate areas of importance within a page and helps draw readers AND search engines to specific areas of the page. Google gets a little testy about titles, keywords, H1’s and linking. This article just focuses on the H tags…but know, if you try to use more than one – Google will probably penalize the page. SEO Unique has inadvertently tested this theory. They had a page which accidentally had 2 H1’s for a period of time…when the second was removed, the page ranked again. it appears Google has an automatic penalty which kicks in if it finds multiples. Read the full story at SEO Unique – Multiple H1 Tags Can Cause Google Penalties. If you have two URLs in the same page, one as an image and the other as text, Google will prioritize the latter, regardless of its position or the ALT tag of the image link. If the first link uses the rel=”nofollow” attribute, that will block the crawling of the second one, even if it’s not nofollow. The safe bet is to make sure that the first link to a URL is a keyword-rich text, as it will have priority in Google’s eyes on any other URL that might come further down in the page. If you are moving an entire site to a new URL, what happens to all the old backlinks, and how can you avoid losing your hard-earned Page Rank? The solution is a Google tool for webmasters, called Change of Address Form, whose purpose is to inform the search engine that your site has moved. On top of that, you want to put permanent redirections (called 301) from the old pages to the corresponding ones in the new site. Users that visit the old URL directly, from a bookmark, old backlinks or by typing it on the address bar, will be led to your new site, without getting the infamous “Page not found” response. Whether you use Adwords or not, slowness will bring you down in the rankings. So, do you still think you don’t need an SEO guy? /wp-content/uploads/2015/03/logo_tom_altman_small.png 0 0 tom /wp-content/uploads/2015/03/logo_tom_altman_small.png tom2015-11-24 14:21:232017-11-24 14:22:04What is SEO and how do you use it? SEO for a local company is different to advertising for a national or even international one. The search engine optimization has to be tightly focused. Then people in the local area can find your services. Getting it right involves optimizing your website and making use of other tools. For example, Google’s My Business Page feature is important. There are many factors that go into creating a successful local SEO campaign. They range from using the right images to gaining valuable links. If you want your local SEO to work out, you need to use the tips below to get started and take it further. Many small business owners choose to handle their own SEO, or at least play a part in it. Even if you want to be involved, it’s a good idea to get some expert input. Look for an SEO marketing firm that has plenty of experience in handling local SEO. You should ensure that they have the right skills and knowledge to build an SEO campaign for a local company. They can help you reach your audience, whether you own a brick-and-mortar store or a service that delivers locally. They can get you started by performing an audit. Then they can handle everything from on-page SEO to your Google My Business page. When you’re building your SEO campaign, you need to remember that you want conversions. High traffic to your site is all well and good, but it’s no use if nothing comes of it. You need your campaign to create value for your business. You don’t want it just to send people to your site who aren’t really interested. Whether you’re trying to encourage newsletter sign-ups or increase sales, it’s conversions you want. You need to focus on them from the beginning. Don’t increase traffic and then worry about conversions later. Get the right visitors to your site right away. If you don’t already have one, you must set up a Google My Business page. This is essential for any local business that wants to rank highly in search results. It will help you get your company to the map search results at the top of a local search. Don’t just set up your page and do the bare minimum, however. You should make an effort to make it as complete as possible, and to keep it maintained. Write a description of your business, including all the relevant contact details and images too. If you have more than one location for your company, creating a page for each location may be a good idea. 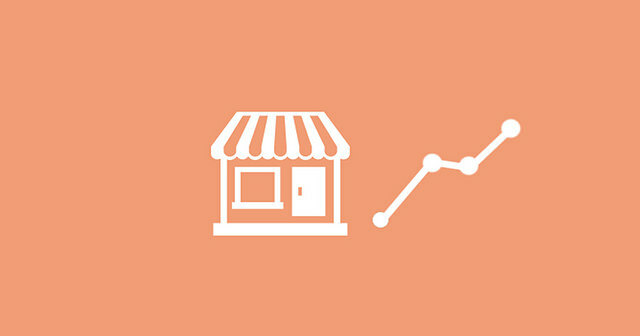 Your business listing will look much better on Google if your page has ratings and reviews. There are a few ways that you can encourage people to leave reviews for you and make it easier for them. When you have completed an order, you can prompt clients to leave you a review in your final contact with them. You can also use your Gmail contacts to get in touch with customers easily and ask them to leave a review. Remove “posts” from the end of your page URL and replace it with “?hl=en&review=1”. This will automatically take them to your review page. It helps if you give people a guide on how to leave a Google review, as some people may be unsure about where to start. The images you use on your Google My Business page are more important than you might think. When users hover over your listing in search results or see you in Google Maps, they will see your photos. So it’s essential to select quality images that represent your business and what you do. Don’t use generic pictures when you can use one that’s relevant to your products and services. There’s no point having an image of a sandwich if it isn’t one of the ones you sell in your delicatessen. This helps to boost your click-through rate to your Google My Business page and your website. On your website, make sure you have all your details set up and easy to find. They need to be visible to both search engines and people. You need to put these details in crawlable HTML text. Some people only include them in images, which means that they can’t be read by search engines. You should include your name, address and phone number on your contact page to improve the SEO on your website. As well as a contact page, it’s a good idea to put these details in the header or footer of your site. If you have different locations, create location pages for each of them. Include your location, as well as other relevant keywords in meta titles and descriptions. Title tags need to be for the user and the search engine. Include essential information that matches what people are searching for. They should be useful to their needs. Your meta descriptions are better if they’re geared towards users. They will help people decide whether your link is relevant to their needs and if it’s worth clicking on it. Links are essential for any SEO campaign, including local ones. However, the quality of your links is more important than the quantity of them. It’s much better to get a very valuable link from a respected source than to get many of them from questionable places. Getting the best links possible can be difficult but it’s certainly not impossible. You can find lots of resources to help you with link building and make it simpler. It’s best to use the landing page for your Google My Business page, which is the one you put in when you set up your page. Getting the right clients is even more important when you run a local business. You can’t draw in your customers from far and wide, so make sure you’re attracting them from nearby. SEO is one of my favorite aspects of digital marketing. It still has this elusive quality, and very few people understand it properly. The other great thing about SEO is that it is always evolving. Google constantly update their algorithms, meaning we have to stay on our feet. It means coming up with new tricks and techniques. Writing this blog has introduced me to countless new conversations about SEO. And what is striking about it, is that people still get deceived by these 5 SEO myths. It’s time to clear things up, once and for all. I can’t believe how many times I’ve heard this one. Several conversations about SEO have started when a colleague says, “oh, I hired an SEO company once, but it didn’t make a difference.” Of course it didn’t! SEO isn’t something that kicks in overnight. 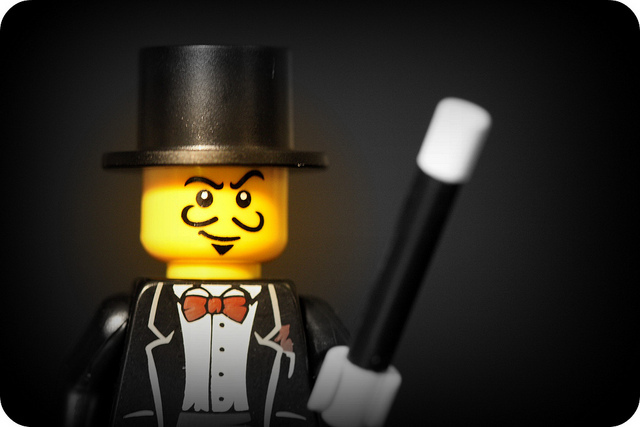 You don’t just flip a magic SEO switch and suddenly dominate Google. No, you take a long-term strategy. You practice SEO techniques with every single piece of content you write. You make changes and stay up to date. SEO never ends. Wrong. Sure, you can place all your eggs in one basket. But, when has that ever worked? When you hire SEO services, the first thing they do is ask you to write a list of long-tail keywords. That’s not just your main keyword, but everything else around it too. Let’s say you sell skis for a living. Your main keyword is ‘skis’, but that won’t capture everyone in your market. You need to include keywords like ‘ski shop’, ‘ski poles’, ‘snow’, ‘mountains’, ‘ski equipment’, ‘ski blog’. See what I’m getting at? Cover the whole sector with your keywords. A Google official recently sent the SEO world into a tailspin by claiming that people should stop building links. Unfortunately, the quote was taken out of context. Link building is still VERY important. It’s the only way to show authority and determine how useful people find your website. What Google meant by its statement was to avoid poor links. Look for natural, high quality, and relevant linking strategies. Myth 4: It’s all just metadata, right? No! SEO isn’t just about titles, tags, and URL keywords. Sure, that stuff is all important. Google’s spiders need to see what your site is about. But, there are more important things at play. Quality of content. Authority. Site performance. Web traffic. Think in terms of value; how much value do users get from your site. That’s what Google is looking for. Social media matters. No, Google don’t count your follower numbers or register how many likes you got. But, this social activity leads to more traffic. It leads to more websites linking back to you. It grows your authority and readership. You’re providing value and Google does take notice of that. Don’t ignore social media. It is your launching pad. Have you heard any other awful SEO myths? Search engine optimization is the process of ranking high on Google’s search results page. As a business, one of your major goals is to get Google to take notice. After all, they are the biggest search engine on the planet. They have the power to send you a lot of traffic and boost your profits significantly. Search engine optimization (SEO), comprises a number of tricks and techniques. However, one of the most important is link building. Google is looking for authority sites. It wants to provide Google users with the best results and trustworthy websites. One of the ways it does this is by measuring authority. When a website has lots of other sites linking to it, Google can infer that it has something to offer. Lots of links suggests the website is respected. It provides value. Unfortunately, many tried to game the system by creating thousands of fake links across the web. Google cracked down on this and made it much more difficult. However, link building still matters. In fact, it’s still the best way to boost your search rank. But, how do you do it safely in 2015? 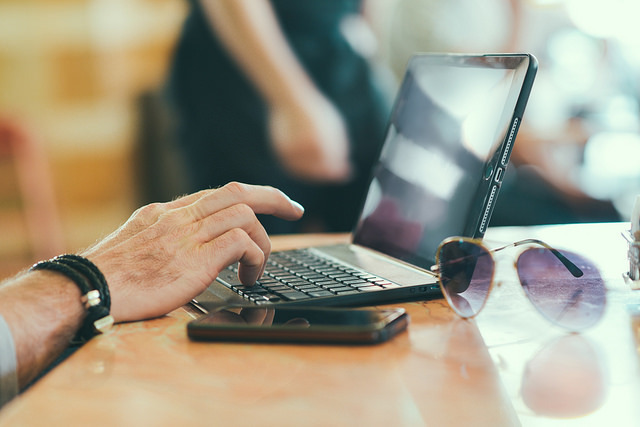 Guest blogging is a great way to get organic links back to your website. The first step is reaching out to larger, relevant websites. Ask them if you can provide a free guest blog. In most cases, they’ll be more than happy to accept. Write a compelling and informative blog piece with one or two links back to your site embedded in the content. Most blogs will also give you a byline. This is a small line of text that describes who you are. Make sure you link to your website here too. Now you have a relevant, organic link to your site. Do this as often as possible on a wide variety of blogs and websites. Let’s say you love to blog about SEO, like I do here at this site. There are hundreds of others that are also passionate about the topic. Make an effort to connect with them on social networks. If you’re new to the market, an SEO company might be able to help you find these connections. Use Twitter and LinkedIn to reach out to them and strike up a relationship. Then, when you post your next blog, they’re likely to see it and take notice. If it’s full of good content, they might just share it on their site. That’s another easy link. Many digital entrepreneurs are scared to ask for what they want. If you want to succeed, you need to take the leap and ask people for something. It’s less daunting than you think, and you often get the results you’re looking for. If you’ve written a compelling blog with good information, get in touch with others. Reach out to The Huffington Post, Lifehacker, Forbes and other major sites. They regularly accept and republish popular blog posts. If they post it, you’ll get a link back to your website. A link from a huge site like Huffington Post will make a big difference. Natural, organic links will boost your search rank enormously. Try these techniques and watch your business take off! 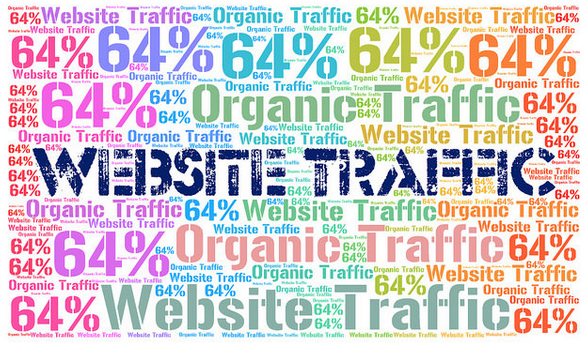 Do you like the idea of driving more traffic to your website? Would you like to achieve speedy results? Then you’ve stumbled upon the right article. Today, I’m going to show you how to double website visits in less than one week. You don’t need to be a computer whizz to follow the steps in this guide. You just need to pay attention and employ some common sense. I’ve tried to keep things as broad as possible. I’ve done that so this post appeals to a wide range of people. So long as you put the information to good use, you should see a staggering improvement. What have you got to lose? Pay per click advertising is a fantastic way to gain more exposure online. Services like Google Adwords could help to put your website in front of the world. Those of you without any previous experience might need a hand. With that in mind, we spoke to a top PPC agency to gain some tips. The experts told us that most business owners choose to outsource that job. They do that to save time and money. However, it is more than possible to handle the task in-house. You just need to perform a lot of research. It is also vital that you get the targeting options right. Google allows you to target your ads based on age, location, and lots of other factors. A couple of the top social media websites now offer paid advertising solutions. I have used them in the past with great success. Facebook is probably the best platform for people who want to see fast results. That is because there are more users than any other social network. The targeting options work in much the same way as those used by Google. You just need to know some basic information about your target market. Ideally, you should work out what other pages those people might have “liked” on the website. You can then focus your efforts on the right groups. That means you will never waste a penny. There are lots of ways in which you could gain some media attention. As the old saying goes, all publicity is good publicity. You should try to do something positive that makes your company look good. As articles are published online, you should notice a boost in traffic. That is because readers will begin to search for your website. Also, some of the writers might choose to include a backlink. That is advantageous because it will help with search engine rankings. Anyone who needs more information should take a look around before clicking off this blog. I do my best to publish the best tips and ideas I can find. No matter what your issue might be, there should be lots of useful resources on this site. Doubling your traffic in less than one week will require a lot of effort. However, it is more than achievable if you follow my advice.